Hill in a letter to his wife bemoaning the fact he received limited praise for his actions at Antietam. Jackson’s engineer when sent to advise D.H. Hill on engineering matters. A fellow Confederate general who liked Hill had this to say about him. Hill’s snarling “so regularly and acerbically at the world around him” caused Lee-”perhaps the personally least contentious general officer commissioned on either side”-to form a negative opinion of him. I like studying Hill as I think he really was the greatest officer of the war. There is limited information about him and he has always been overshadowed by higher ranking but lesser officers. This is largely due to the fact that many more soldiers got killed because of hills inspirational leadership. These soldiers died but inflicted greater casualties on the enemy. Lee didn’t promote Hill because he didn’t want Hill leading the Virginians. So the ones Hill lead, the North Carolineans especially, always ended up in places like bloody lane. The fact that North Carolina lost twice the soldiers of any other confederate state put a damper on Hill receiving the recognition that he should have. These soldiers were not slaughtered but inflicted casualties of about 2 to 1 due to Hills genius, not Lees. They said they wanted to fight so Hill fought, he was not a politician. Lee mostly wanted to spare his Virginians, that seemed to be his greater objective. So often the one who gets the job done doesn’t get the recognician. 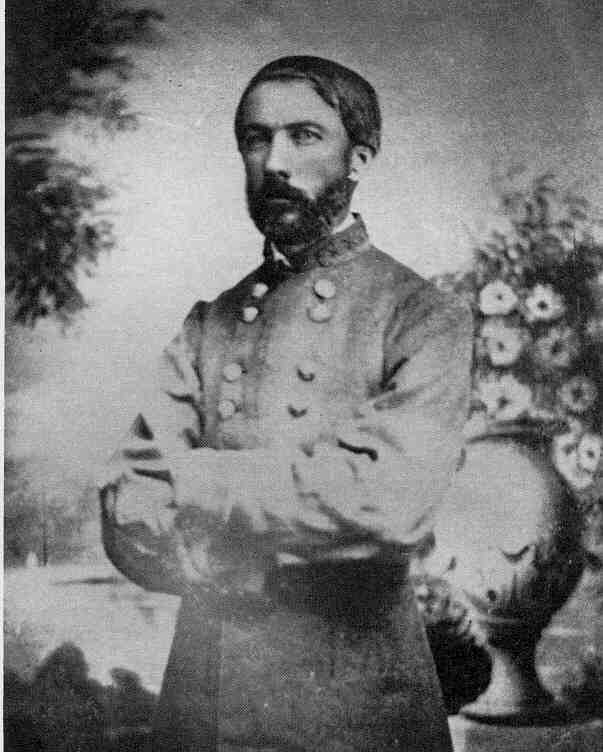 So many people try to say that Lee was a great officer but he was the one who ordered Picket to charge at Gettysburg, then later blamed the defeat on Picket. This battle occured soon after Hill left the army. Hill left due to Lee promoting three virginians and did not promote Hill, who was really the greater officer, greater than Lee as well. I enjoy studying Hill as well. An up to date biography on this important officer is long overdue. You make some interesting points, some of which I do not necessarily agree with. North Carolina’s contributions to the Confederate war effort should not be underestimated. However, I recall that Lee took responsibility for the defeat at Gettysburg. Anyway, I appreciate your interest in my blog and hope to see you again here soon. Regards. Oh, if only DH Hill had been sent to Kentucky to take command of Kirby Smith’s troops in Lexington in September 1862.